Innovation, reliability and being on the forefront of environmental solutions are the guiding principles of GAR Plastics, Inc. We believe that a green approach to recycling plastics provides a more profitable way for manufacturers to operate, while also improving our environment. Commitment to innovation has allowed GAR to grow consistently for over 25 years . 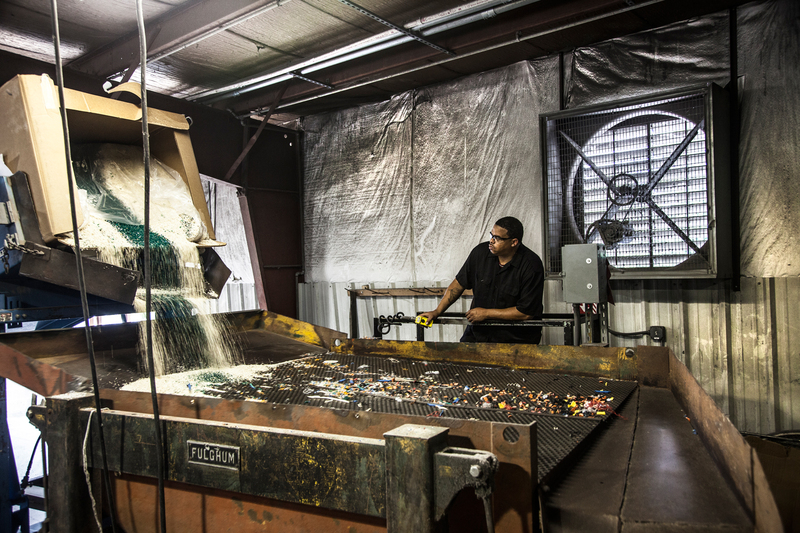 Dedication to customer service makes us a leader in the plastics recycling industry. We work with our clients individually to provide tailored solutions to fit their needs. All employees are afforded the opportunity to reach their goals. At GAR we work hard every day to demonstrate better business and a better environment can coexist to the benefit of everyone. Provide the most innovative recycling solutions for the plastic industry while implementing a personalized approach for each of our clients. "We have used over 5 million pounds of recycled plastic from GAR Plastics and have not returned a single pound." ©2019 GAR Plastics, Inc. All rights reserved.